Hillary’s climate change plan isn’t as good as Bernie’s revolution might have been, but it’s better than nothing. Her proposals aren’t revolutionary, but they set the stage for a better future. At least it’s something. Democratic presidential candidate Hillary Clinton speaks during a primary night event on Tuesday in Brooklyn. Climate change is damn terrifying. It’s the most important problem we face not only as a species, but as caretakers of an entire freakin’ planet. Despite this, it has not gotten its fair share of attention in recent presidential elections. During his remarkable run for Democratic nominee, Bernie Sanders has helped the electorate feel the urgency of climate change and highlighted the inadequacy of the status quo set of solutions. His conclusion, as several climate scientists have argued, is that a renewable energy revolution is the only way to save what we’ve got in the time we have left. It was a remarkable stance because of how much further it went in acknowledging the depth of the problem. Unfortunately, Bernie Sanders isn’t going to be the Democratic nominee. Hillary Clinton is. So how should those of us who think about climate change more than is probably healthy adjust our expectations? Hillary has pledged essentially an extension of the Obama era on climate. She’s vowed to quickly expand the use of solar energy, ramp up vehicle fuel efficiency, reform fossil fuel leasing on public lands, and support the Paris agreement on climate change (another round of commitments will be due during her first term.) In the New York debate back in April, Bernie dismissed these plans as “incrementalism.” He’s right. 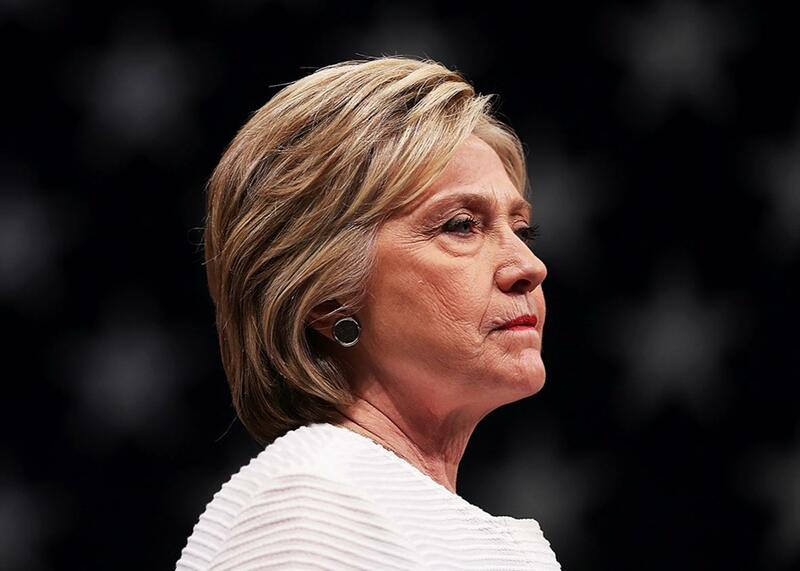 Hillary’s climate policy proposals go significantly beyond Obama’s but still, even if they all succeed, will reduce carbon by only about half the rate needed to hit our globally agreed-upon temperature targets, considering America’s fair share. Whatever she does is not likely to be enough. But it’s at least something. Climate change is a special problem. It requires us to defer current concerns in favor of averting a somewhat abstract, though existential risk that’s decades (or centuries) in the future. It’s exactly the kind of problem our brains aren’t equipped to handle. Which, I think, is exactly why incrementalism won. It’s easier to visualize a shift in the playing field than a new one altogether. Making systemic change would require a lot more buy-in than we currently have. There’s even some evidence that incrementalism actually works better on climate—though rapid change is of course necessary. Sure, it’s frustrating that we’re not further along. That’s why advocates of revolutionary climate action need to continue the job of turning their vision into actual daily tasks of making real-world change. Part of this is continuing to beat the drum. Bernie has changed the national conversation on climate. Bold action on climate change is now a core part of the Democratic Party’s platform, which wasn’t necessarily the case just a short while ago. There’s even evidence that Hillary is coming around to the idea of climate change as a more pressing emergency. She’s at her best on the issue when, like Pope Francis did, she frames climate change as a human rights issue. This primary season, Clinton has shifted her stances on issues like fracking, offshore drilling, and the Keystone pipeline. In deference to Bernie’s strong run, as Grist’s Ben Adler reports, the Democratic National Committee allowed him to appoint a handful of members to the party’s Platform Drafting Committee—and he chose Bill McKibben, climate activism’s de facto leader. Climate-focused voters and activists shouldn’t lose sight of these tremendous shifts. Bernie supporters—and all of us, really—must commit to both revolution and incrementalism: A daily grind of tweaking laws is complementary to bold policy planning, not in opposition. In the near term, the alternative is of course a reality-denying Donald Trump, but in the long term, the work we do now lays the groundwork for a future political moment when change can come more quickly. People care. People are listening. Bernie proved that many people believe a better world is possible. But we still have to actually go out every day and make it. For the next four years, let’s hope Hillary’s at the helm.